Spend a refined moment in Isawa Onsen town, a fruit-growing and onsen village blessed with beautiful nature and culture. The facilities are high-caliber and brimming with elegance and we provide cordial hospitality for guests with a refined sense of an atmosphere of harmony. 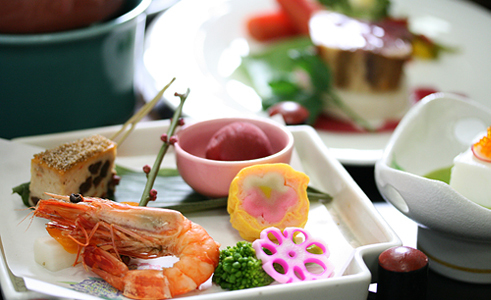 The master chef makes the most of the abundant seasonal ingredients of Yamanashi. 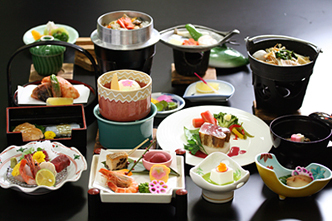 Savour the Kaiseki Ryori (traditional Japanese meal brought in courses) created dish by dish with the greatest possible care. 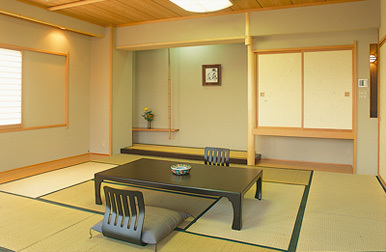 The relaxing Japanese rooms are in pure Japanese style and are created to provide a calm ambience. The pure Japanese style space with its spacious calm promises a therapeutic moment that will soothe your spirit. There is a wide range of rooms to accommodate 2 – 7 people. 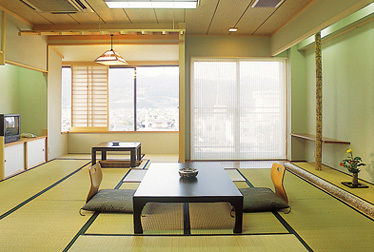 Precisely because they are tatami rooms, you can feel the spirit of Japan and time flows slowly in harmony. Mt. 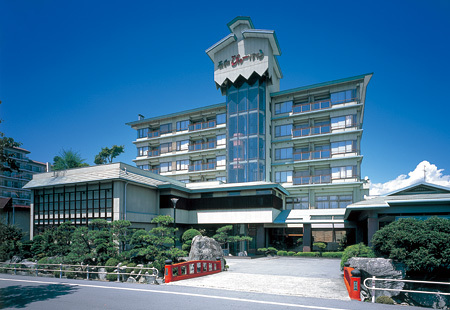 Fuji can be viewed from the south-facing rooms on a fine day. *This view cannot be seen from all rooms. Liberate your mind and body and be soothed by the beautiful nature. 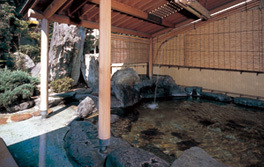 A large public bath boasting a calm atmosphere, abundant hot water and spaciousness. 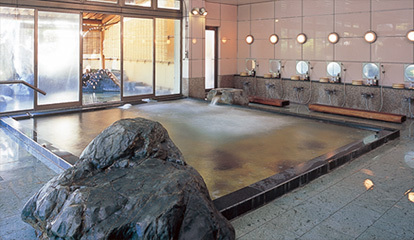 The smooth onsen equipped with jet and ultrasound baths washes away everyday fatigue. 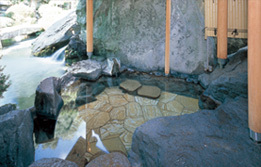 In addition, you can enjoy bathing in the rotemburo brimming with atmosphere while looking out on to the Japanese garden. 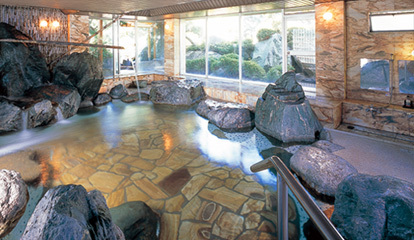 A large rock bath in a rustic atmosphere. The bright and open large public bath soothes the body and mind. Warm your body to the core while feeling the breezes of the different seasons in the clear air of the rotemburo of which the hotel is very proud. Please take care when coming to the hotel. It is forbidden to reproduce any of the contents (text / images) on this website without authorization.